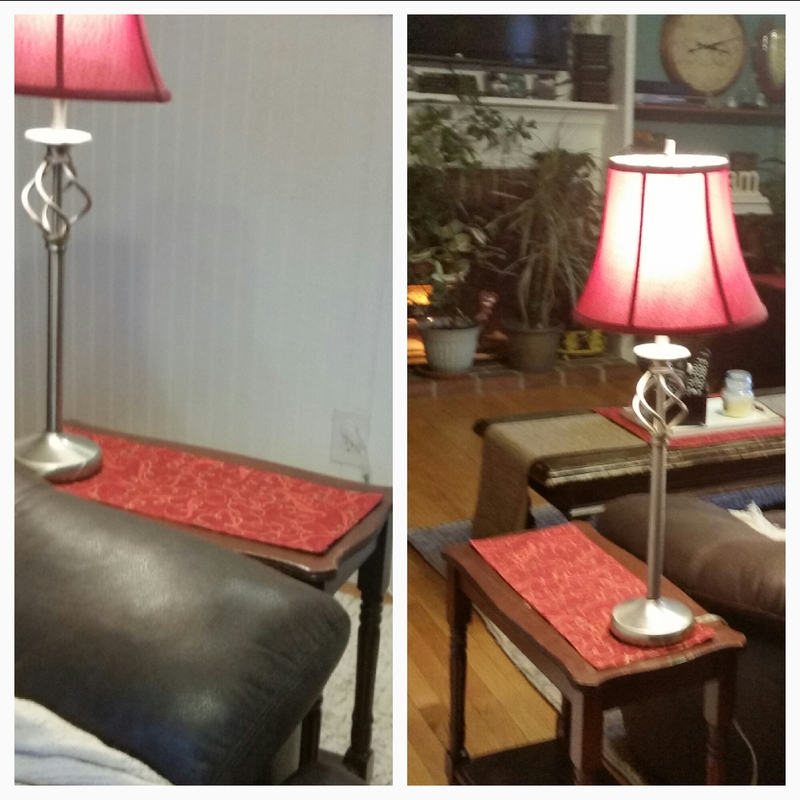 I created placemats for my living/family room furniture (because I hate coasters). I do not know why I hate coasters and it probably stems from my childhood and a bad experience. So a few years ago I started buying placemats and runners on clearance to put on the end tables and coffee tables but fabric is limited so I decided to create my own. I have a sewing machine but I know many people do not. I also am a beginner at sewing and find that using fusible webbing and stitch witchery (and an iron) are great tools to make projects easier. I labeled this project no sew even though I sewed a decorative stitch along the edge. I picked a basic Christmas or holiday pattern so I could keep this on the furniture duing the winter. I purchased this fabric at Hobby Lobby for 30% off and spent $20 on the fabric (which makes each placemat about $3 a piece). The fusible webbing is inexpensive and with the % off coupons at Hobby Lobby, JoAnn’s Fabrics or retail stores the project can stay within a reasonable budget. The hardest of this whole project (for me because I do not iron) is ironing the fabric with the folded over edges or hems and matching each piece. Mine are not perfect and you cannot tell unless you inspect it closely. Measure the table top and cut the fabric. 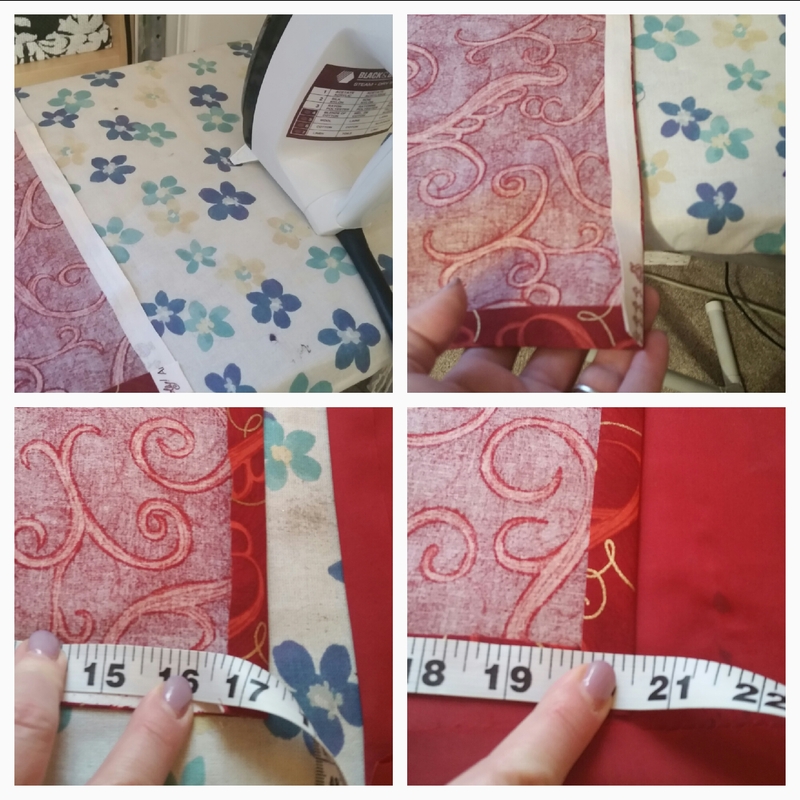 This measurement will give you a piece with 1/2 inch hems on each edge with about an inch all the way around the placemat after placed on the table. 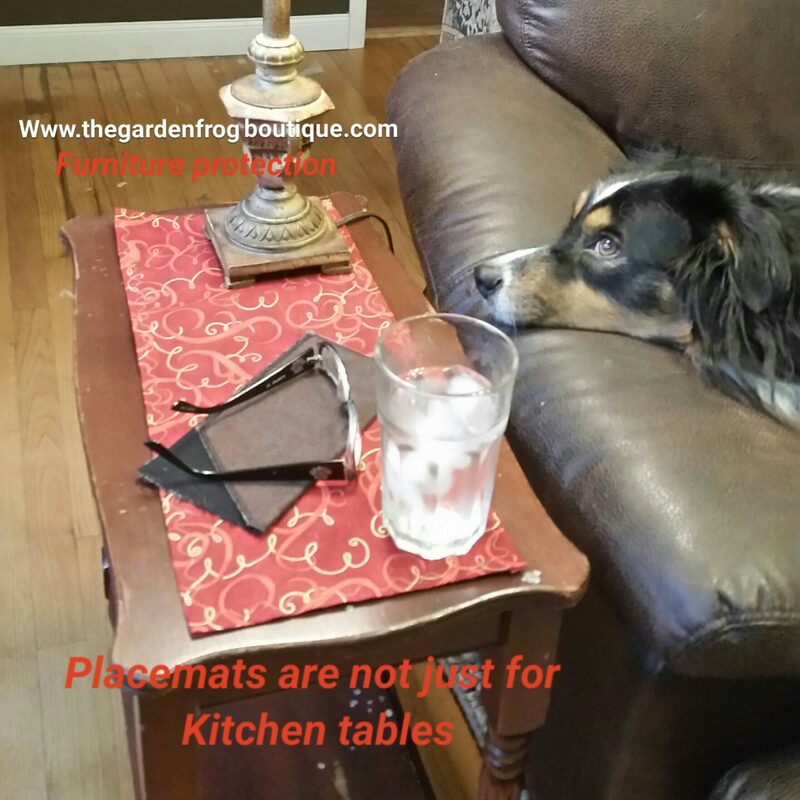 For placemats for the kitchen or dining room table, just measure a store bought placemat and add an inch so you have a hem to iron. You will need to cut the fusible webbing after you iron the fabric and are satisfied with the shape and measurements. hold the iron for about 5 -10 seconds and slowly moving across the fabric to ‘melt’ the fusible webbing to the fabric. Since I have a sewing maching with many decorative stitches, I put a decorative edge on it. 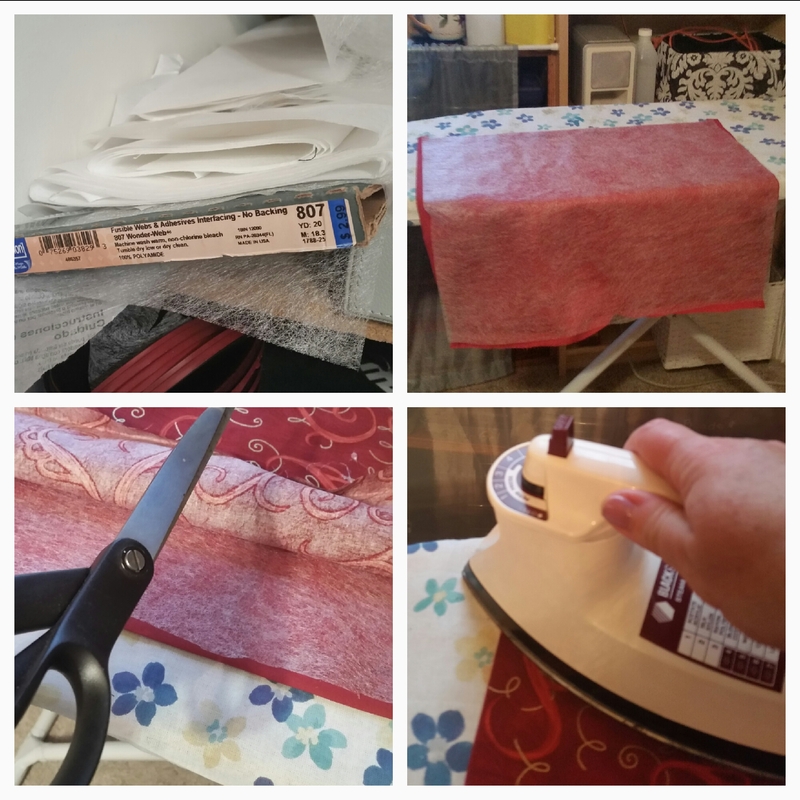 I launder the placemats every so often and found that sewing an edge helps them stay together. I would wash the placemats with your good shirts on a gentler cycle. 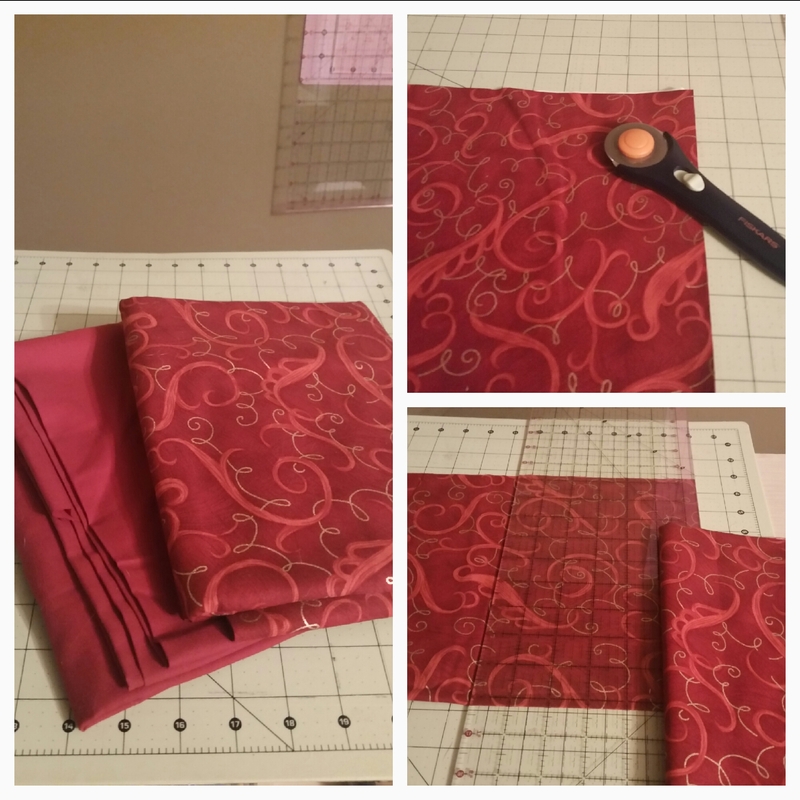 Fusible webbing is great stuff and I love to create fabric projects with it. 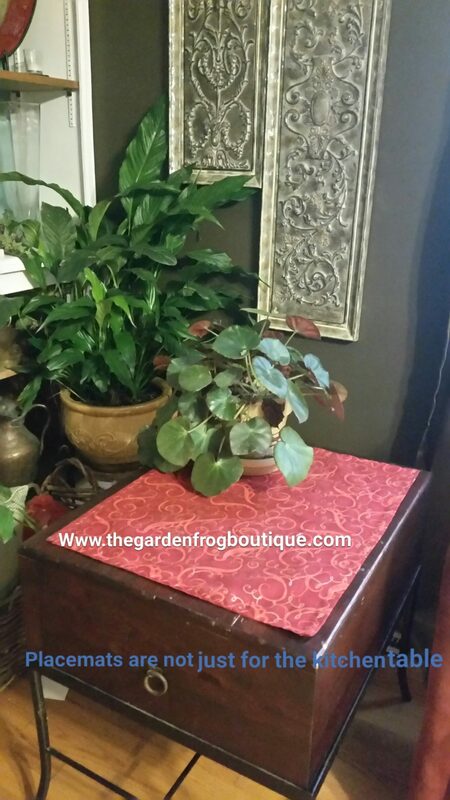 I hope I have inspired you to create something useful and pretty for your room that will protect your furniture and add a bit of holiday decor.